It’s very unlikely that we would ever build out open ocean turbines on anything like that scale — indeed, doing so could even alter the planet’s climate, the research finds. But the more modest message is that wind energy over the open oceans has large potential — reinforcing the idea that floating wind farms, over very deep waters, could be the next major step for wind energy technology. “I would look at this as kind of a greenlight for that industry from a geophysical point of view,” said Ken Caldeira of the Carnegie Institution for Science in Stanford, Calif. The study, in the Proceedings of the National Academy of Sciences, was led by Carnegie researcher Anna Possner, who worked in collaboration with Caldeira. The study takes, as its outset, prior research that has found that there’s probably an upper limit to the amount of energy that can be generated by a wind farm that’s located on land. The limit arises both because natural and human structures on land create friction that slows down the wind speed, but also because each individual wind turbine extracts some of the energy of the wind and transforms it into power that we can use — leaving less wind energy for other turbines to collect. First, wind speeds can be as much as 70 percent higher than on land. But a bigger deal is what you might call wind replenishment. The new research found that over the mid-latitude oceans, storms regularly transfer powerful wind energy down to the surface from higher altitudes, meaning that the upper limit here for how much energy you can capture with turbines is considerably higher. The study compares a theoretical wind farm of nearly 2 million square kilometers located either over the U.S. (centered on Kansas) or in the open Atlantic. And it finds that covering much of the central U.S. with wind farms would still be insufficient to power the U.S. and China, which would require a generating capacity of some 7 terawatts annually (a terawatt is equivalent to a trillion watts). But the North Atlantic could theoretically power those two countries and then some. It would take an even larger, 3 million square kilometer wind installation over the ocean to provide humanity’s current power needs, or 18 terawatts, the study found. That’s an area even larger than Greenland. It is not just utility companies racing to respond to the rise of renewable energy. Oil and gas giant Statoil is building on four decades of offshore experience to erect its first floating wind farm. But it’s critical to emphasize that these are purely theoretical calculations. They are thwarted by many practical factors, including the fact that the winds aren’t equally strong in all seasons, and that the technologies to capture their energy at such a scale, much less transfer it to shore, do not currently exist. “Trying to get civilization scale power out of wind is a bit asking for trouble,” Caldeira said. But he said the climate effect would be smaller if the amount of energy being tapped was reduced down from these extremely high numbers, and if the wind farms were more spaced out across the globe." Energy gurus have long said that among renewable sources, solar energy has the greatest potential to scale up and generate terawatt-scale power, enough to satisfy large parts of human energy demand. But his study suggests that at least if open ocean wind becomes accessible someday, it may have considerable potential too. “The conclusion implied by the paper that open ocean wind energy farms can provide most of our energy needs is also supported history: as a technology gets becomes constrained (e.g., horse drawn carriages) or monopolized (OPEC), a motivation arises to look around for alternatives,” Slocum continued by email. “The authors do acknowledge that considerable technical challenges come into play in actually harvesting energy from these far off-shore sites, but I appreciate their focus on the magnitude of the resource,” added Julie Lundquist, a wind energy researcher at the University of Colorado, Boulder. The research points to a kind of third act for wind energy. On land, turbines are very well established and more are being installed every year. 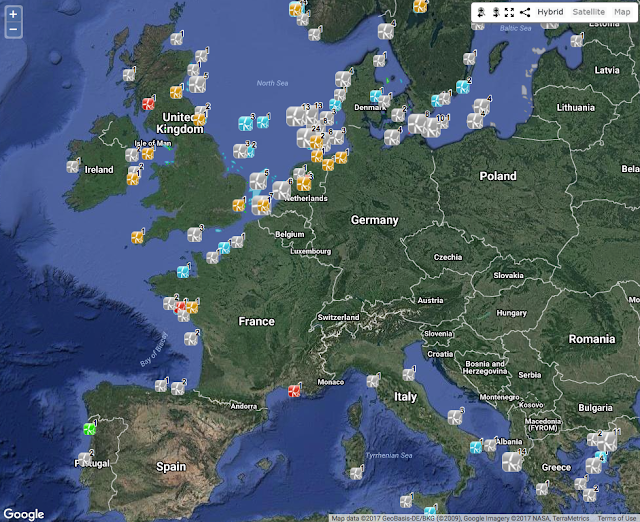 Offshore, meanwhile, coastal areas are now also seeing more and more turbine installations, but still in relatively shallow waters. Experimentation with the technology is already happening: Statoil is moving to build a large floating wind farm off the coast of Scotland, which will be located in waters around 100 meters deep and have 15 megawatts (million watts) of electricity generating capacity. The turbines are 253 meters tall, but 78 meters of that length refers to the floating part below the sea surface. 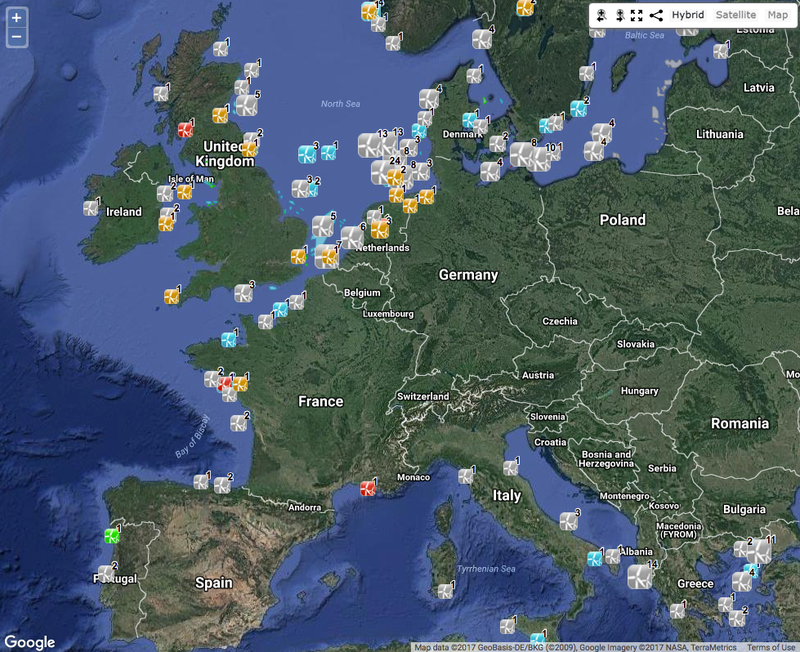 OilPrice : Can Deep Water Wind Farms Power The World? The Mercator projection creates increasing distortions of size as you move away from the equator. As you get closer to the poles the distortion becomes severe. 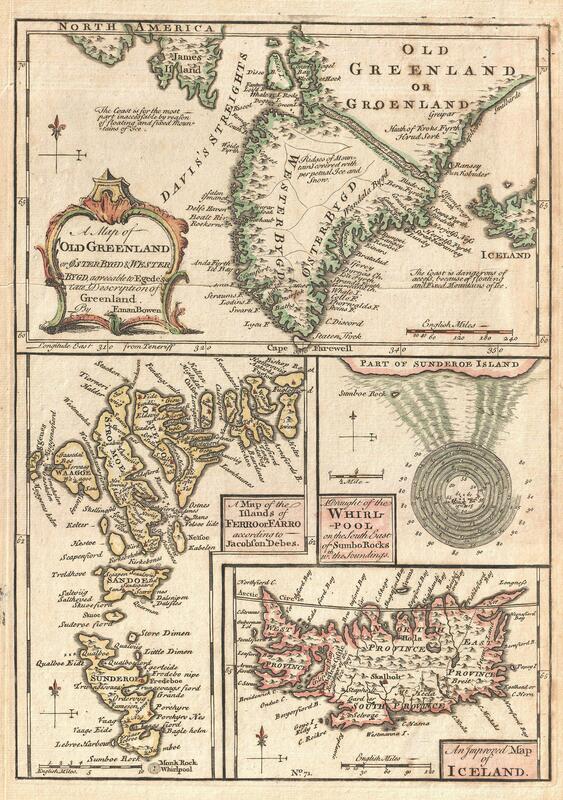 Cartographers refer to the inability to compare size on a Mercator projection as "the Greenland Problem." Greenland appears to be the same size as Africa, yet Africa's land mass is actually fourteen times larger (see figure below right). 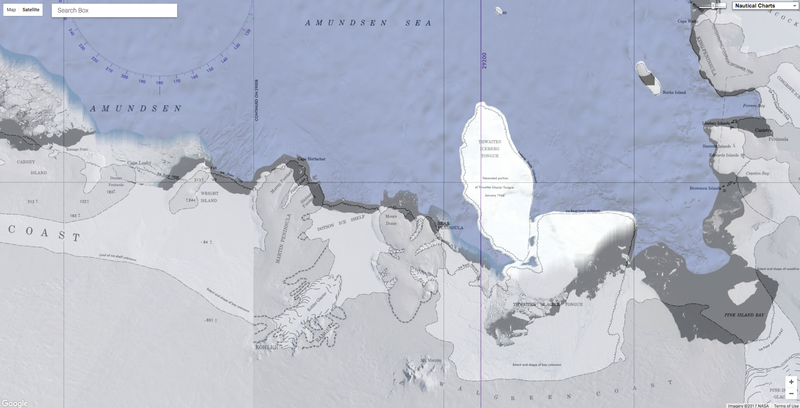 Because the Mercator distorts size so much at the poles it is common to crop Antarctica off the map. This practice results in the Northern Hemisphere appearing much larger than it really is. Whether you realize it or not, you're probably pretty familiar with the Mercator projection. It's the chosen map of Google, and often displayed in classrooms around the country. The video shows a brief cluster of measurements in Greenland 2016. The vessels used are the Inspection vessel Ejnar Mikkelsen and its Navy vessel SAR2 (Naja Mikkelsen). The survey was conducted on the route Sdr Strømfjord to Sisimiut. The survey itself is that Ejnar Mikkelsen operates externally, where business traffic mainly passes, while the SAR vessel operates in shallow inland routes and remote fjords primarily used by dinghies and small boats. The video shows, among other things, filmed footage from the two ships, as well as animated films that show how data collection takes place in practice. Bjarne Rasmussen tells - in English - about the risk and the disastrous consequences that may be about to navigate the icy waters of Greenland in summer time. Saunders Island and Wolstenholme Fjord with Kap Atholl in the background are seen in an image taken during an Operation IceBridge survey flight of Greenland in April 2013. Around the world, from Alaska's remote North Slope to the island nations in the South Pacific, coastal communities are watching their shorelines slip away into the rising seas. But in an unexpected discovery, scientists have found one place where the effects of climate change are having the opposite impact. It seems that river deltas on the coast of Greenland are actually growing bigger at a time when many deltas elsewhere around the world—and even elsewhere throughout the Arctic—are eroding away. The finding is all the more surprising considering that Greenland is home to the world's second-largest ice sheet, whose melting glaciers are among the planet's biggest potential contributors to future sea-level rise. Here's the surprise: It's the melting glaciers that are causing these delta regions to expand, scientists say. In their findings published Tuesday in the journal Nature, the researchers note that as glaciers melt, they send fresh water and loose sediment flowing out toward the ocean. The sediment is then deposited along the coastline where the rivers meet the sea, causing the delta to expand outward. "We were surprised to see that in Greenland we had the exact opposite trend of what is going on in the rest of the Arctic," said Mette Bendixen of the University of Copenhagen, the study's lead author. 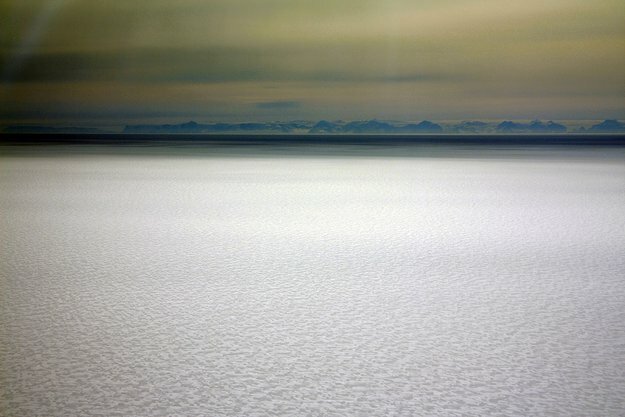 The researchers had expected the ocean to play a bigger role in eroding away the coastline, as it has elsewhere—especially as climate change is causing more Arctic sea ice to melt away, leaving the surface of the water exposed. 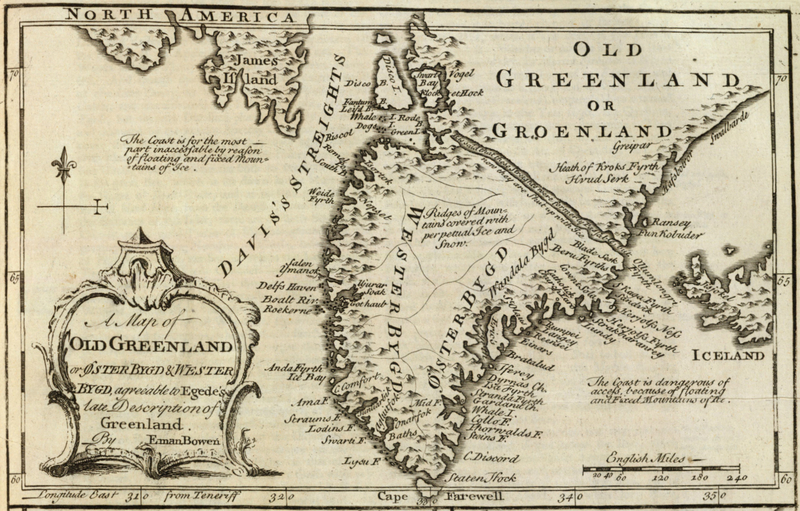 Instead, they found that Greenland's deltas are largely shielded from the ocean's waves by the presence of large, steep-cliffed fjords. The researchers made their discovery by examining aerial imagery from the 1940s and 1980s—including photographs taken on flights by the U.S.
Army during World War II—and Google Earth satellite imagery from the 2000s to see how Greenland's deltas had changed over time. They found that the deltas remained mostly static between the 1940s and the 1980s, but expanded from the 1980s on. Topographic figure from the new study. On the left (a), the figure is color coded between -1500 m and +1500 m with respect to mean sea level, with areas below sea level in blue. 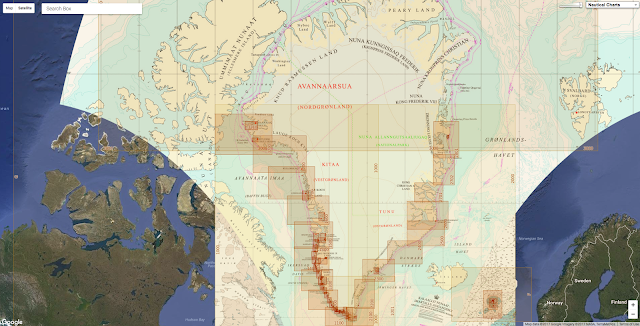 On the right (b) the figure shows regions below sea level (light pink), that are connected to the ocean and maintain a depth below 200 m (dark pink), and that are continuously deeper than 300 m below sea level (dark red). These findings suggest that Greenland's glaciers have been experiencing increasing ice loss for at least three decades—a result that may reinforce scientists' concerns over the stability of the melting ice sheet. 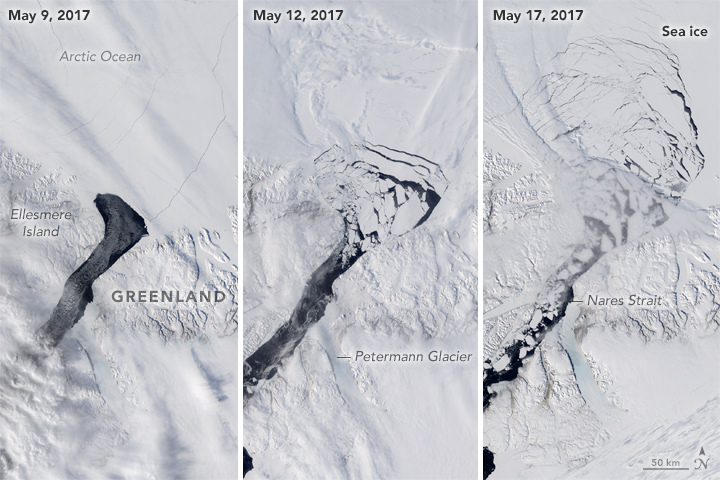 The research also suggests that areas with more intense meltwater runoff are seeing the most expansion along the coastline. It may seem like the Greenland coast is catching a rare break, while other coastal regions throughout the Arctic are slipping away. According to Bendixen, it's been well-documented that shorelines in Alaska, Canada and Russia are "generally eroding," and there's great concern about what will happen to the human communities in these places. Multiple Alaskan villages have already begun preparing for the need to relocate. Several open-fan deltas are located along the coast within the narrow fjord in Greenland. But Bendixen cautioned that Greenland's expanding deltas are not necessarily a good thing for nearby human communities either. They rely heavily on fishing and tourism, she noted—but as the deltas push outward, the harbors that these industries depend on become sandy and difficult to navigate. And if ice loss continues to accelerate in the warming Arctic, this effect may only become more pronounced in the future. Two open-fan deltas located in a narrow fjord in Greenland. 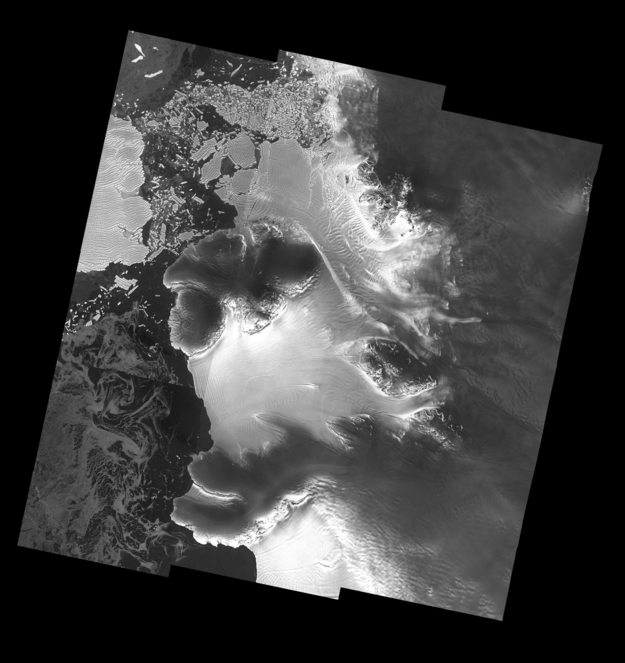 In the distal part of the image, a restricted delta and its plume of sediment is visible. But these changes send another message, as well, one that reverberates far beyond the Greenland shore. The shifting coastline is a sobering reminder that Greenland's ice sheet is changing, as well, in ways that could have dramatic consequences throughout the rest of the world. Hammerheads were among 150 tons of illegally caught sharks in the hold of the Fu Yuan Yu Leng 999. Last month, Ecuadorian authorities busted a ship carrying one of the largest caches of illegally caught sharks in history. The crew of the ship has now been tried, fined, and sentenced. Yet the plot of this complicated tale—a rare glimpse into the black market trade made possible by industrialized global fishing—just keeps on thickening. First a rundown of what happened. On Aug. 13, Ecuadorian coast guards intercepted the Fu Yuan Yu Leng 999 with 300 tons of fish—more than half of which was sharks, including babies and endangered species—crammed in its hold. The FYY Leng 999 (as we’ll abbreviate it, since other ships with “Fu Yuan Yu” in their names are about to enter the picture) is a Chinese-flagged refrigerated-cargo vessel, one of the key technologies underlying the industrialization of marine fishing. These “reefers,” as they’re sometimes known, don’t catch fish. Instead they buy them from other fishing vessels, storing them in their massive refrigerated holds while the other boats head back out to catch more. The FYY Leng 999 obviously didn’t catch the sharks. A new report out today by Caixin (paywall), a leading Chinese financial magazine, gets us a step closer to the answer. Chinese authorities insist that the ships that poached the sharks are two Taiwan-flagged vessels named Hai Fang 301 and Hai Fang 302, citing receipts reported by Ecuadorian authorities that were found onboard the FYY Leng 999 and China’s fishery administration’s conversation with that ship’s captain. This implies that Chinese involvement was limited to transshipment, and not actual poaching—something the government might want to emphasize given increasing attention to its subsidizing fishing fleets accused of depleting other countries’ marine resources. Neither Hai Fang 301 nor Hai Fang 302 are registered with any country. So who, then, did catch the 150 tons of sharks? SkyTruth, a nonprofit, retraced FYY Leng 999‘s journey from China to Ecuador’s Galapagos Islands using Global Fishing Watch, a platform that employs artificial intelligence to collect and analyze ships’ satellite data, which SkyTruth created in collaboration with Google and another nonprofit, Oceana, in 2014. After departing on July 7, it chugged steadily across the Pacific for a month and then, on Aug. But it wasn’t alone in the vast emptiness of the eastern Pacific. Soon, four vessels joined the FYY Leng 999, each sidling up to the reefer for about 12 hours at a time. “These lengthy rendezvous at sea suggest a substantial transfer of cargo was possible,” said Skytruth. Fu Yuan Yu Leng 999 meets up with the four other Fu Yuan Yus. The four ships are—and this is where it gets confusing—Fu Yuan Yu 7861, Fu Yuan Yu 7862, Fu Yuan Yu 7865, and Fu Yuan Yu 7866. They’re supposed to be catching tuna. Was this quartet of “Fu Yuan Yu” the culprit? Two of the vessels are owned by NASDAQ-listed Pingtan Marine Enterprises, China’s second-biggest marine-fishing company, according to the company’s website. And Pingtan has a special relationship with Fuzhou Hong Long, the company that owns FYY Leng 999. The CEO and majority owner of Pingtan is Zhuo Xingrong. His wife, Lin Ping, happens to be the biggest shareholder of Fuzhou Hong Long, according to Pingtan’s financial statements. She may, however, have recently shifted ownership to a company owned by Zhuo’s brother, who also happens to be a director of Pingtan, reports Caixin. Despite all this, the Chinese fisheries authority doubled down on blaming the fictitious Taiwanese ships, telling Caixin they may have traveled undetected by turning off their satellite positioning systems. Since to do so, these ghost ships would have had to travel the Pacific without satellite navigation for the entirety of their journey, this conjecture is highly unlikely, fishing experts told Caixin. And while Pingtan CEO Zhuo wouldn’t comment on the alleged involvement of his tuna FYYs, he told Caixin that the captain of FYY Leng 999 is an old friend of the captain of the two Taiwanese boats that supposedly caught the sharks. But, wait—if Hai Fang 301 and Hai Fang 302 don’t exist, where’d the receipts onboard FYY Leng 999 come from? It turns out when reporting the incident, the Ecuadorian authorities misspelled the ships names; the receipts cited in court were for Hai Feng 301 and Hai Feng 302, reports Caixin. Doh. Weirdly, a vessel named Hai Feng 301—but renamed Hai Fa in 2009—was convicted of illegal trade in 66 tons of hammerheads and whitetip sharks (both protected species) in Indonesia in 2015, according to Greenpeace. That vessel—which, like FYY Leng 999, is a reefer—is owned by a Hong Kong-registered company that Caixin links to Pingtan. But in July and August of this year, Hai Fa was nowhere near the eastern Pacific. The remaining unsettled question is where the FYY Leng 999 was ultimately headed when Galapagos authorities apprehended it. It turns out FYY Leng 999 has a history of operating near where suspicious fishing activity is afoot. 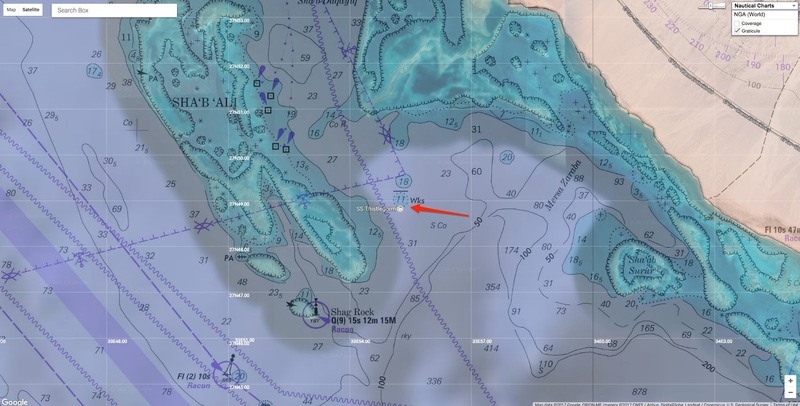 This includes palling around with an unregulated squid fleet in the northwest Indian Ocean in 2016. And—what do you know?—around the corner from where the FYY Leng 999 was busted, there it is: a cluster of squid ships, bobbing just beyond Ecuador’s territorial waters, near a critical hammerhead breeding ground. 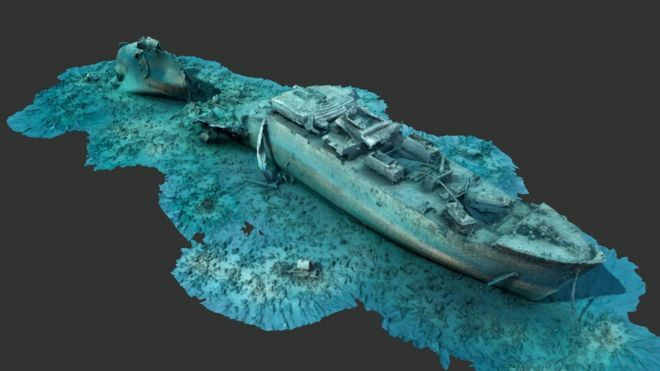 New 3D images of one of the world's best known World War Two dive sites have been released to the public. British merchant steam ship SS Thistlegorm was hit by a German bomber in 1941 and lies on the bed of the Red Sea off the coast of Egypt. 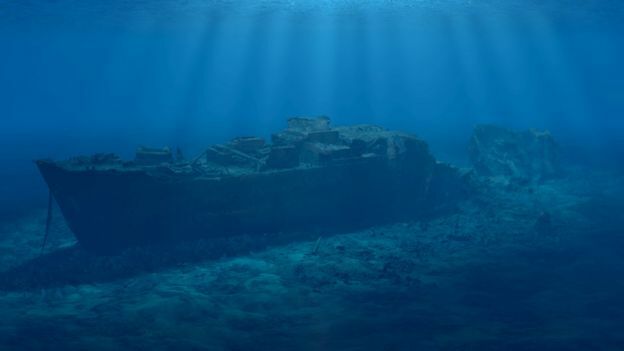 The Thistlegorm Project, led by the University of Nottingham, could help to preserve its valuable remains. Director Dr Jon Henderson said the shipwreck deserved to be seen by the wider public. A website has been launched to enable people to view the images. SS Thistlegorm was carrying trains, aircraft parts, trucks and motorbikes, and heading to Egypt to support the allied war effort when it was hit. Five Royal Navy gunners and four merchant sailors lost their lives. 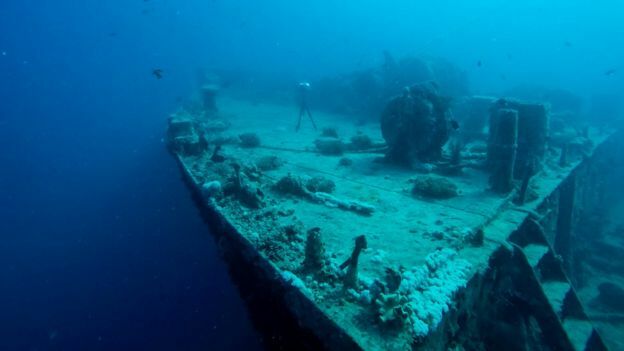 The wreck has become one of the most famous dive sites in the world due to the clear water and military equipment still on board. Dr Henderson, from the university's School of Archaeology, said: "The thing about underwater sites and the importance of underwater cultural heritage is that the only people who've ever seen it are divers. "However, we are now at a point where we have the technology to reconstruct these sites." 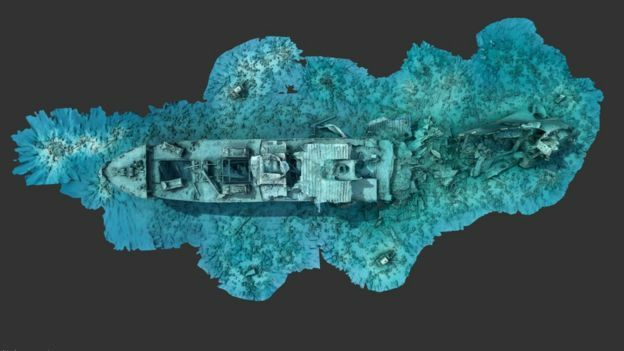 The university said the photogrammetric survey was one of the largest ever carried out on a shipwreck, with 24,307 high resolution pictures taken during 12 dives at the site. "The Thistlegorm is an amazing resource, it's a remarkable snapshot in history, it's got all this material from World War Two sitting on it and so there is a lot to learn from the wreck," said Dr Henderson. 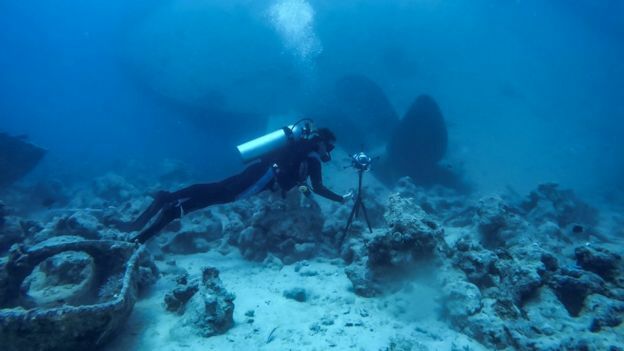 The university said the underwater archaeological project was one of the first to utilise 360 video, which will allow people to experience what it is like to dive to the wreck. Dr Henderson said the wreck had no legal protection and needed to be properly recorded. "Carrying out a baseline survey (such as this) of exactly what's there is the first step in doing that," he said. We can then chart changes over time and look at what we need to protect." The 12 wind cherubs on this map are named. Between 1536 and 1564 an enterprising Genoese chartmaker, Battista Agnese, produced in Venice a number of remarkably accurate and beautifully decorated nautical or "portolan" atlases on vellum for merchant princes and ranking officials. A version of this oval world map appeared in each of the seventy-one such atlases that have survived. 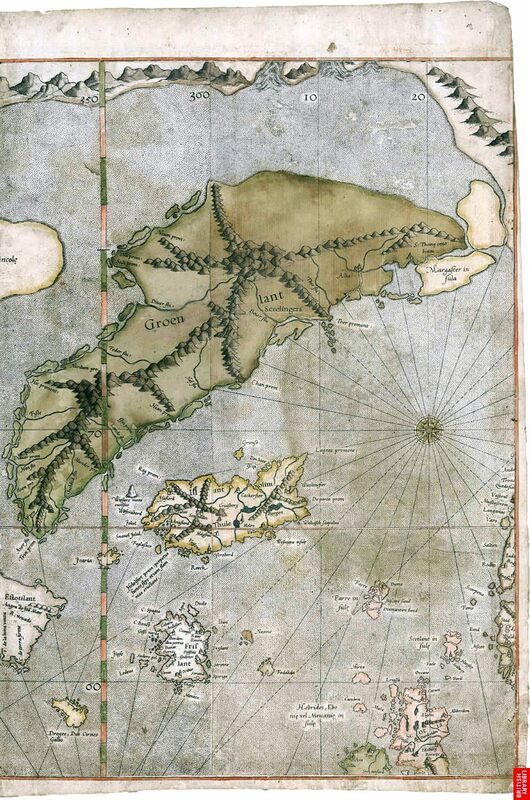 Agnese liked to show new discoveries and explorations of his maps, and this one includes the route that Magellan took around the world, inscribed in pure silver that later tarnished. He also traced, in pure gold, the route from Cadiz, Spain, to Peru, with overland portage across the Isthmus of Panama. This was the route of the treasure ships -- heavily armed galleons that carried vast amounts of silver from Peru to Spain. On the Agnese map continents are in yellow and green watercolors, mountains in brown, white, and silver, rivers (including the legendary sources on the Nile) in blue, and the Red Sea and Gulf of California in red. In the blue-and-gold clouds surrounding the oval world are cherubs, or wind heads, representing the classical twelve-point winds from which modern compass directions evolved. The symbolic treatment of winds first occurred in world maps of the tenth century on which the windblowers are portrayed as human figures seated on Aeolus bags. With one hand they hold trumpets or horns, and with the other they squeeze the wind out of the bags. This symbolism was at least as old as Homer, who wrote of Aeolus, the son of Hippotes, god and father of the winds and ruler of the island of Aeolia. Figures of old men, cherubs, or angels as windblowers, with or without Aeolus bags, were popular illustrations on maps up to the eighteenth century. In some cases the facial expression and size of the blast emerging from the mouth told a great deal about the wind, without further explanation. The portolan atlas containing this world map was drawn in Venice in 1543-44. It was originally prepared for and dedicated to Hieronimus Ruffault, abbot of the Benedictine monastery of St. Vaast and St. Adrian in Arras, a French city of Gallo-Roman origin. The map is also known to have been in the library of the old Hanseatic League town of Wernigerode, Germany, in 1916, to have subsequently been offered for sale by Otto Lange in Florence, and to have been in the possession of Lathrop Harper in New York. It was acquired by the Library of Congress in 1943.